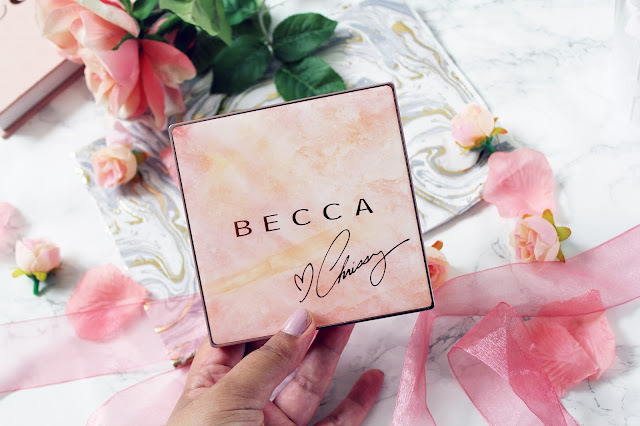 I’ve always been a fan of Becca as a brand (cause of the name obviously!) and ever since the brand has become more readily available in the UK, I have had a list as long as my arm of the products I want to try. The first Becca product I ever bought was the shimmering skin perfector in Opal and I have recently hit pan on it and that’s the first highlighter this has happened to. I love the shade opal as it’s the colour of champagne and it’s the type of shade that suits everyone. So when I first read about their new collaboration with Chrissy Teigen, I knew I had to try it. 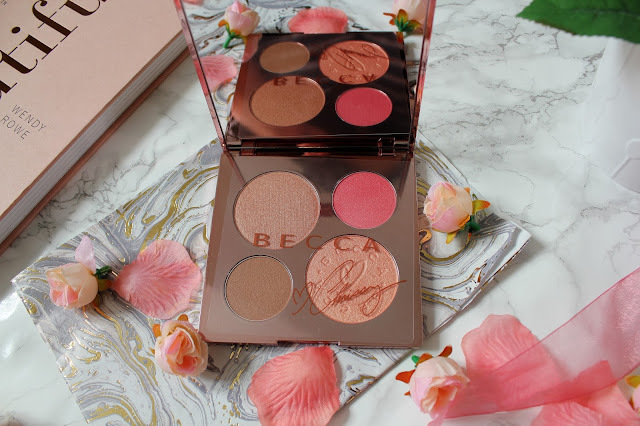 This palette includes two highlighters, a blusher and a bronzer and when Becca products are about £30-£35 each having two highlighters, a blusher and a bronzer for £45 in my opinion is a bit of a bargain. First of all what strikes me about this palette is the fact it is ROSE GOLD. Every blogger/makeup lovers dream right? The packaging is stunning and I love the size of the mirror on the palette as this makes it perfect for applying makeup on the go. 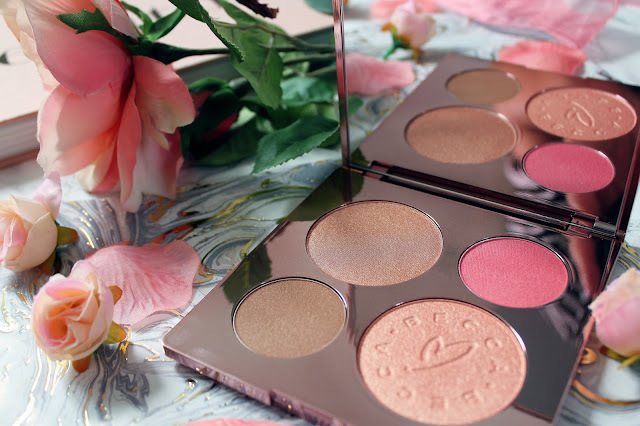 Secondly, this palette is a collaboration with possibly the funniest person on twitter I follow, Chrissy Teigen. I love her blunt comebacks to people, which send her abuse on twitter, and how funny she comes across when I’ve seen her on tv (like on lip sync battle!) One thing I’ve always liked about Chrissy Teigen is her makeup always looks super natural and glowy and she never goes over the top with her make up looks. Chrissy’s look is very similar in all the pictures I’ve seen on her and so this palette really stuck out to me as who doesn’t want to try and get her look?! 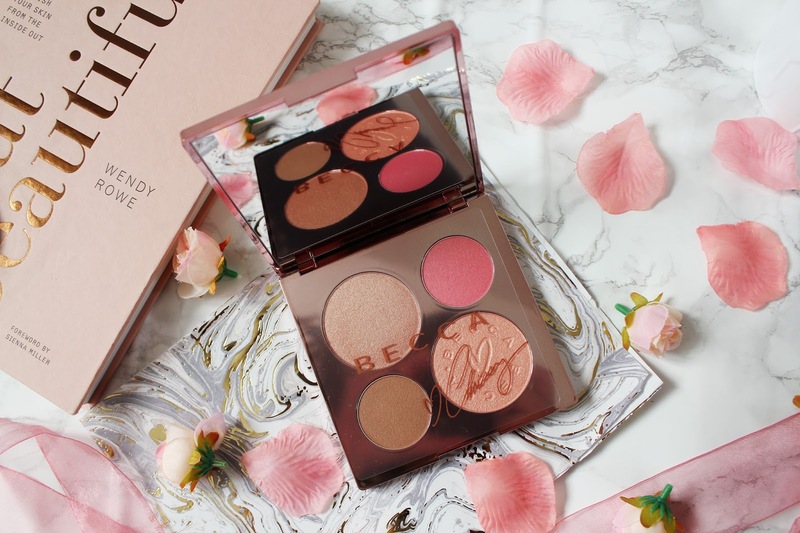 Now lets go onto the shades in this palette… (L-R) Rose Gold Highlighter, Hibiscus Bloom Blush, Malibu Soleil Bronzer and Beach Nectar highlighter. 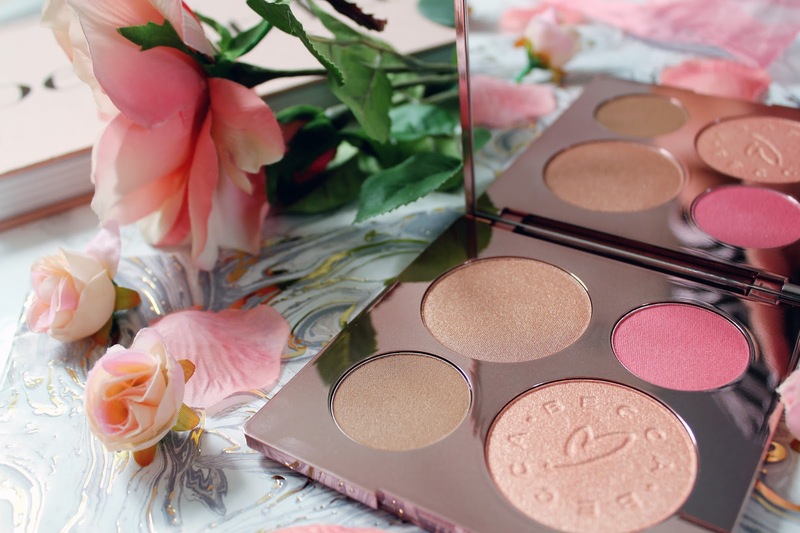 Straight away my favourite shade in this palette is the rose gold highlighter as it’s absolutely stunning. I think it’s the sort of shade, which will suit any skin tone and as you can see from the swatch in the photo below the pigmentation of the highlighter is incredible. The other highlighter shade, Beach Nectar reminds me a lot more of Opal. I think the colour of this highlighter is stunning and it goes so well with my skin tone. I think both highlighters can be use for daytime and nighttime wear and when you have got tanned (or just glowy looking skin) they will look incredible. I also really like the bronzer in this palette as it goes well with my skin tone and it’s very matte with only a hint of shimmer. However, I am still VERY loyal to my Clarins Limited Edition Bronzer as for me, this gives me a better coverage. The only thing I haven’t been so sure about with this palette is the blusher shade, I’m gradually becoming a blusher fan but I think it’s really important not to go overboard with blusher. This shade looks so daunting in the pan but when you actually swatch the shade it’s not too bad. I think it’s important to just lightly use this blusher though as I am a little bit scared of ending up looking like a clown! Overall, I really like this palette and think it’s worth the money. 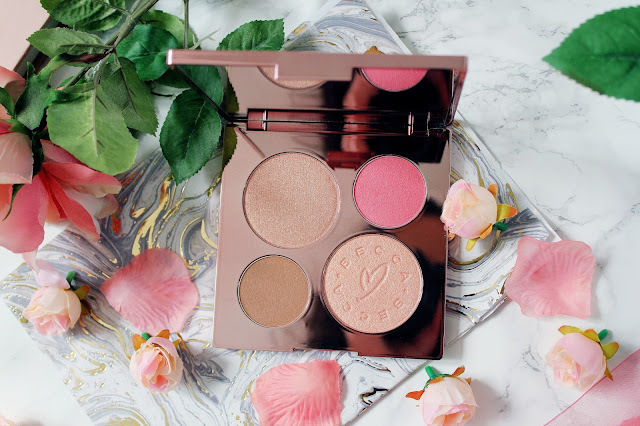 Especially if you’re someone who is looking to try out Becca products or just someone who loves collecting limited edition products or if you’re a huge fan of the brand. 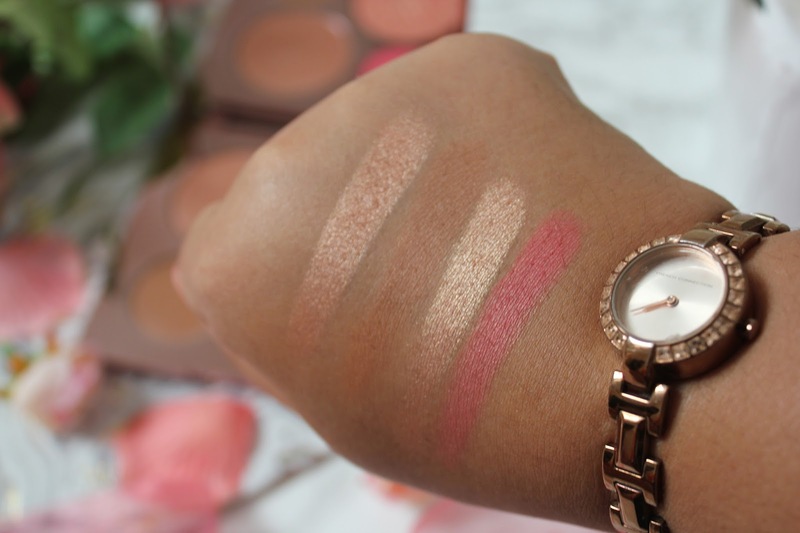 I love both the highlighter shades and the bronzer shade and I think the blusher shade will be a grower on me! What do you think of this palette? Do you have any Becca product recommendations? Let me know in the comments! Oh I want this one so bad! I need to try this palette, it's stunning!